High-quality umbrella designed to meet the demands of the user. This umbrella presents a modern design that is supported by the high-quality material used when manufacturing the product. It has got a premium feel; therefore, making it suitable to be presented as a gift. The umbrella is available in 2 colours, meaning you have more than one option to pick up from in selecting the colours that will best match your desires. 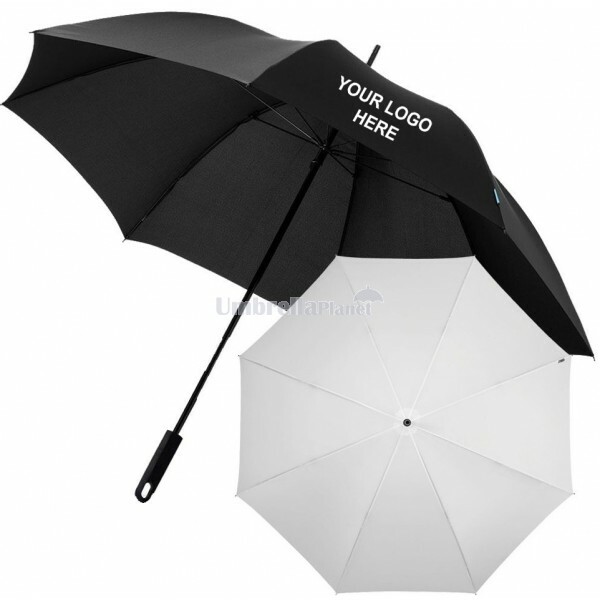 With a choice to print the umbrella with your company logo, it is ideal to use the product to promote your business brand. The umbrella comes packed in a non-woven Marksman gift pouch. It is manufactured from the metal shaft, polyester pongee, as well as fibreglass ribs. The umbrella is light in weight and is less than 50cm when folded in length. There are many ways of promoting your business brand. However, using the branded product to the targeted market has shown more effective than other methods. With that said, it becomes ideal to use this product to promote your brand within the market. The product is much affordable; therefore, it won’t break your budget line. Ordering the product is simple as you are required to place an address that is located in Australia. Delivery time take up to 2 weeks for the approval of your payment. Note that prices exclude GST and there is a setup fee of $60 charged. Ricing includes one colour, one position printing. Umbrella Planet is dedicated to giving you fast and secure delivery within Australia. We service all states and territories including; VIC, NSW, ACT, QLD, SA, TAS, NT, and WA. Contact our sales team for exact delivery costs and times to your location.